Some people are nervous about heights; some are agoraphobic; my particular phobia is flying. Upon discovering that I would have to endure two 'big' and four 'little' planes over a period of just four days, a cold sweat came over me which was slightly relieved when I discovered that we would be in one of the bigger Caravans instead of the much smaller Cessna’s. While these light aircraft weren't built to be spacious, the 12-seater Caravans are more comfortable and less claustrophobic than the Cessna’s which are either 4 or 6 seaters. The planes used to depend on the number of travellers. The Caravans also offer a slightly smoother ride, but the general rule is: if you're prone to motion sickness, sit up near the front as you won't feel the thermals as much. 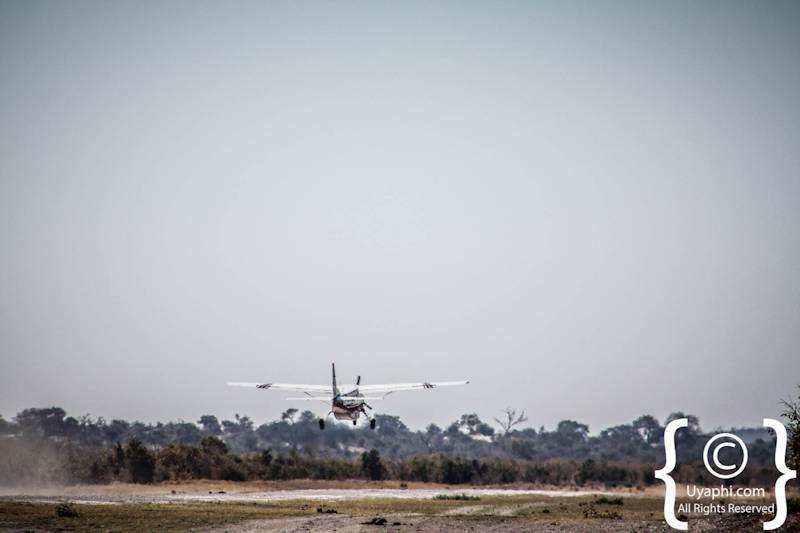 As we slowly took off from Maun International Airport (don’t be thrown by the "International" part, Sunday afternoons at a ladies bridge club are busier) I sat there white-knuckled and pale-faced. After a while a strange thing happened, I started to feel comfortable. Martin, our very experienced and friendly pilot definitely eased the nerves, but I also found myself distracted by my surroundings: the little clay buildings dotted around the centre of Maun (which really is a tiny little town,) the huge amount of cattle and the full Thamalakane River which feeds from the Boro River, one of the main channels of the Okavango Delta. This was my first time seeing Botswana from the air, and it helped put the scenery into perspective for me. Not only was the landscape impressive, especially flying over the Savute Marsh and the magnificence of the whole of the Okavango Delta, but I also saw abundant wildlife, including elephant, giraffe, and hippo fresh out of the water (which turned out to be the only hippo we saw in the whole trip). 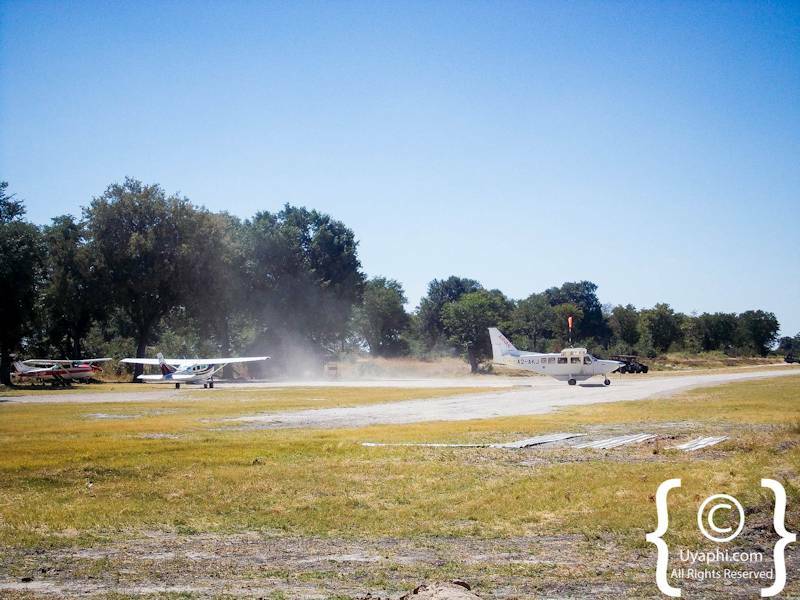 By the time our safari had ended, and I found myself on Terra firma back at Maun Airport. 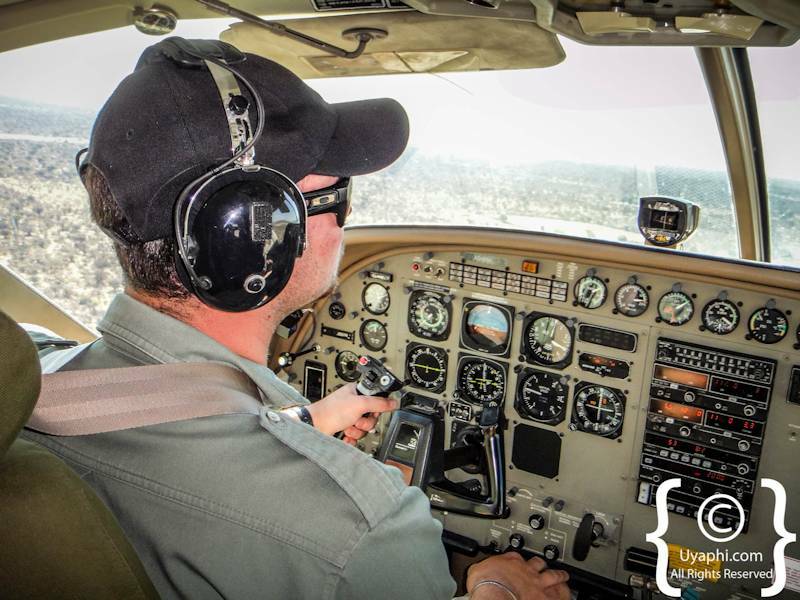 I was already dreaming up my next safari and realising how much I had enjoyed my time, especially in the 'little' planes. The whole Botswana experience is a bucket-list contender, and I recommend it to everyone; the young and the 'mature'. 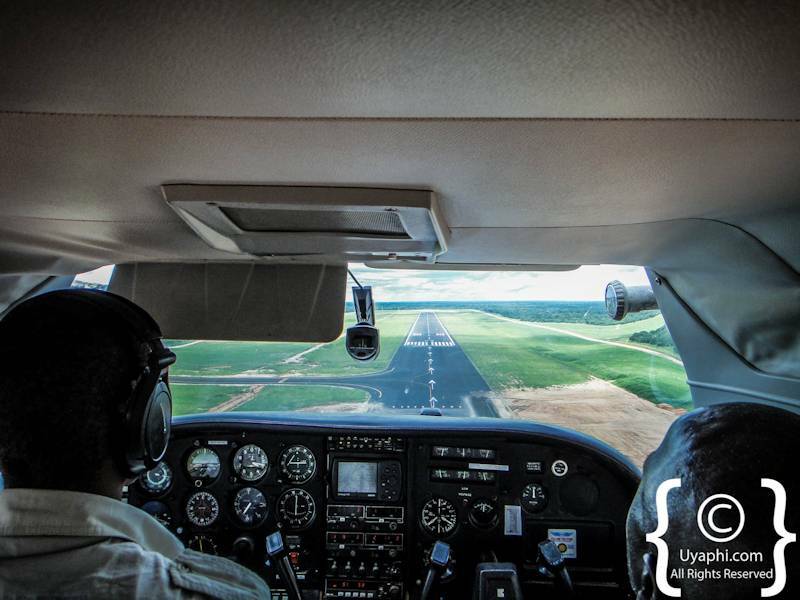 I certainly will be back to visit Botswana by Air again.